Seems like I’m starting to get in a good habit of working out more days than not. The last 2 weeks I have worked out 5 out of 7 days. Last week I exercised all days I didn’t work overtime at work. 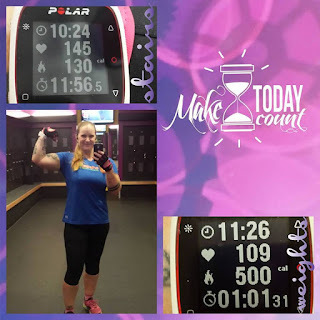 This week, I exercised all but one day that I had the opportunity to work out. I only worked 1 shift of overtime this week, but still took 2 rest days. I could have worked out last Saturday, but didn’t. • Saturday: I was contemplating doing a run this day but ended up doing nada. I can’t remember why. I just know that nothing workout-wise happened. So, REST DAY! 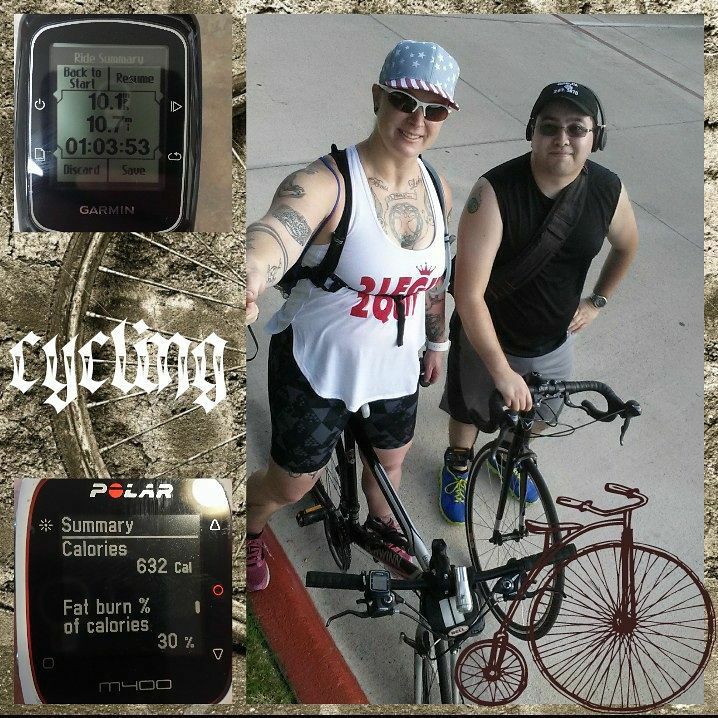 • Sunday: went for a 16 mile bike ride with my friend, Sam! We made these plans early last week, so I’d been looking forward to it for almost a week. I haven’t ridden a bike WITH another person in well over 10 years, so this was really nice. I didn’t let him know that he was obligated to take a selfie with me until I was about to take said selfie. Ha! Ninja style! Nah, he was cool with it, actually. It was a really good ride and we both agreed that we need to do this again. 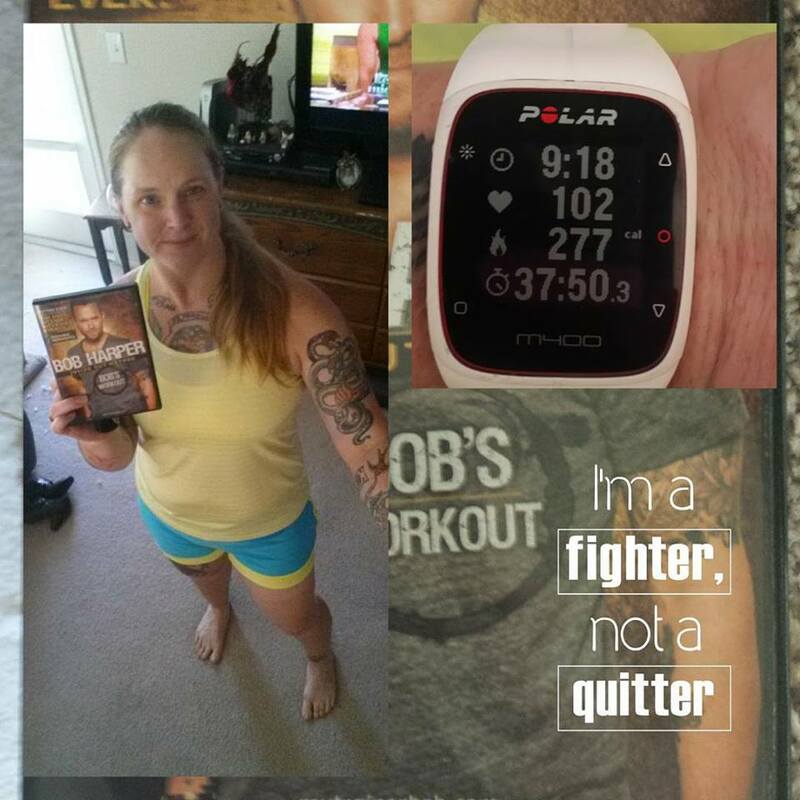 • Monday: I was going to do a 10K run this day but, 1) I had random and unignorable nausea Sunday night which prevented me from falling asleep for over an hour and then I just slept horribly after that. THEN, as if that wasn’t enough, I set my alarms for the wrong day, so instead of waking up at 6:45, I woke up at 10. Oops. Good news is that I did still have time for a gym workout, sans the stair climber. So, that’s what I did! No excuses!!! • Tuesday: since I didn’t run on Monday, I decided would run on Tuesday. Did I? Nope. I slept horribly the night before yet again and was completely not up for getting up at 6:45am. So I reset the alarm for 7:30 and then proceeded to hit “snooze” for an hour. Ugh. I had changed my workout from running a 10K to doing the hour Bob Harper’s “Yoga for the Warrior” DVD workout (an hour long), but ended up only having time to do Bob Harper’s “Bob’s Workout,” part 1 (30 minutes). But, wow, I forgot how hard that workout is…and didn’t even go all out because, well, it was hard. It was a good workout and, as usual, I never regret a workout. After my workout and before work, I had my first therapy appointment with the new therapist. His office is like 2.5 blocks away from work, so I parked at work and walked over. 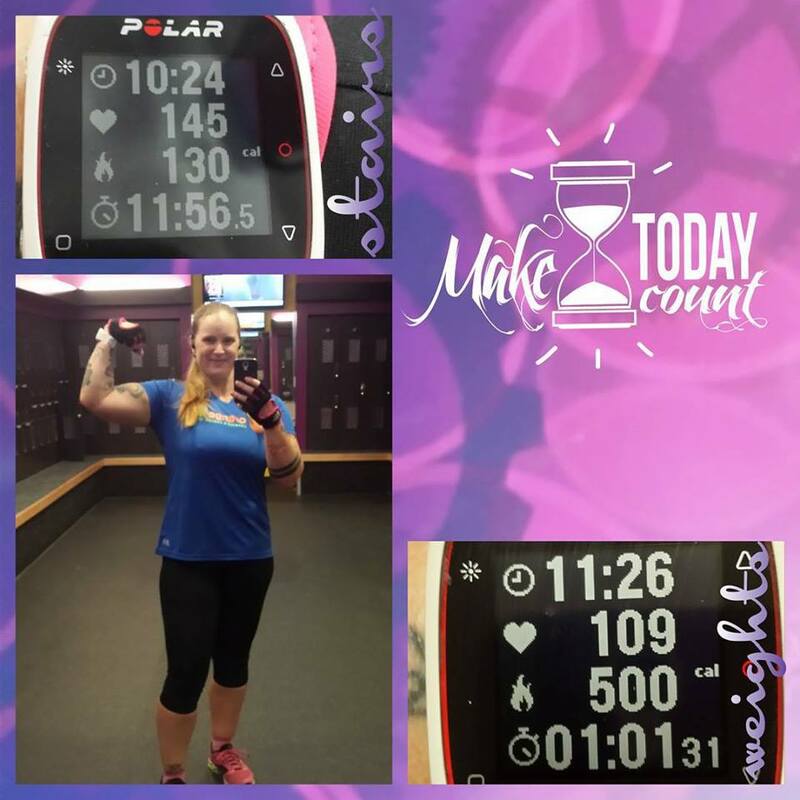 This saved me money on the parking meter AND I wasn’t quite yet at 100% of my daily activity per my Polar M400 after the workout I did. After my appointment, I walked to Einstein Bros Bagel Company and got a fountain drink, then walked back to my car, moved it off the hot roof of the parking garage to a lower level and turned the a/c on full blast. Thanks to my post-appointment walk, I reached 100% within a couple hours of going in to work. YAY! • Wednesday: I had planned on a 10-ish mile bicycle ride. I was talking to my friend Sam Tuesday evening at work and mentioned this and he asked if he could go with, so I of course said yes! 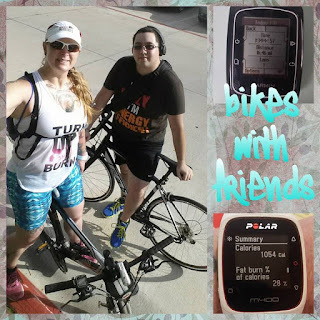 Riding bikes is way more fun with a friend! So, I got up early, though not as early as I had planned because I set my alarm for the wrong day…ugh…third time in the last 7 days I have done that. But I still got up early enough that it didn’t mess up our plans. 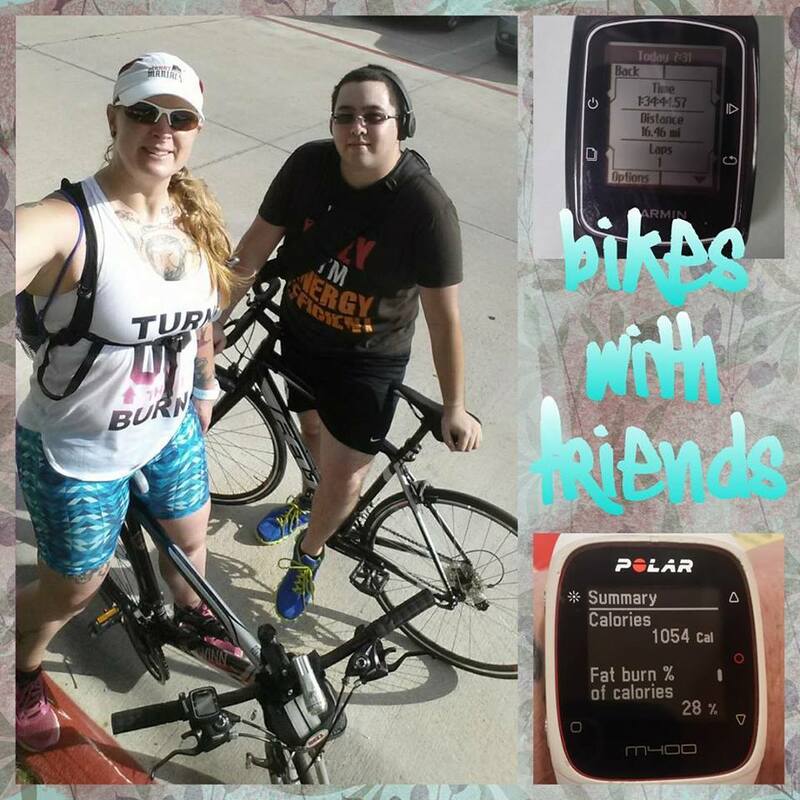 We rode 10.75 miles per my Garmin Edge, took our selfie together, and then went and ate pancakes! He went home, I showered and then laid down for an hour and a half nap. I slept GREAT for that hour and a half!!! My abs are starting to get a little sore from Tuesday’s workout DVD. By the end of this day, however, they were pretty dang sore. • Thursday: I woke up before my alarm by over half an hour this day, but laid in bed until after I’d gone through all the snoozes on my alarm. Haha! Some days you just don’t want to get out of bed. But, I DID get out of bed and got ready. I went and filled my car up with gas and got an iced coffee from Starbucks before heading to the gym. I did 46 floors in 10 minutes on the stair climber, then about an hour of strength training. My abs were super sore from the Bob’s Workout DVD I did on Tuesday, so I had to adjust the weight down a little bit on the exercises that use my abs even ever so slightly. 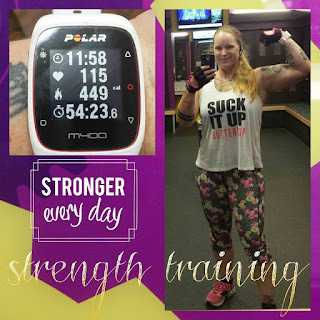 But, on some of the other exercises, I actually upped the weight I was lifting! YAY! • Friday: REST DAY! Worked overtime on the morning shift, so no workout this day. Also, my abs are still pretty sore from Tuesday’s workout. I think I definitely need to do 1 workout DVD a week just to mix things up and use different muscles than I’m used to and to using. 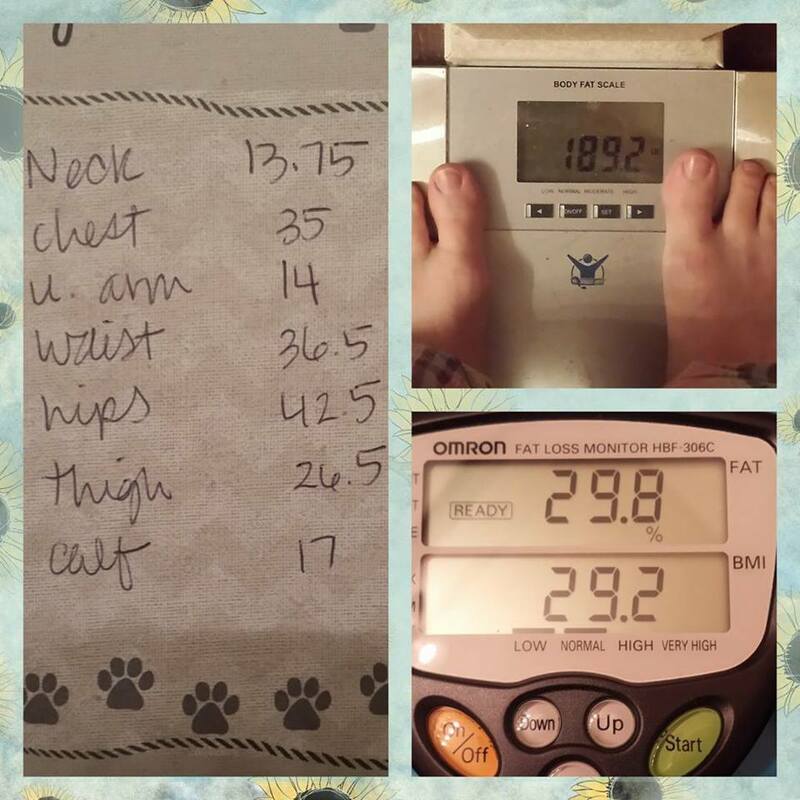 I'm down another 1.8 lbs and .6% body fat from last week's measurements. 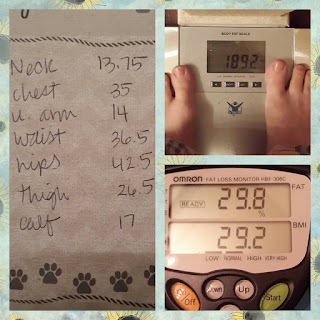 I didn't use my Omron when I weighed in a couple weeks ago, but i'm down 3.8 lbs since that weigh in 2 weeks ago. I'm pretty happy with my results so far. I just hope I can stay motivated and keep losing every week. I'm really hoping to hit my goal of getting as close to 170 as possible by the Austin Halloween Half Marathon on October 24th. I really want to look as good as possible in my costume for that race.